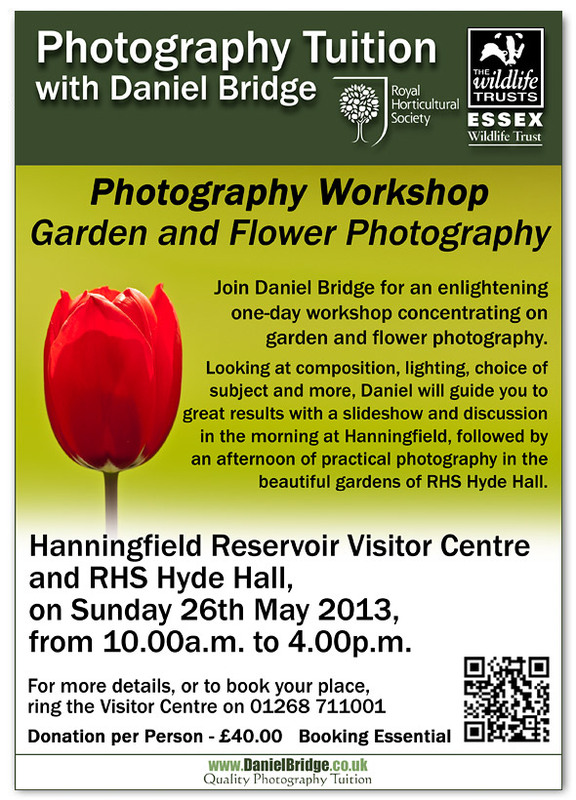 I am running another Garden and Flower Photography Workshop at EWT Hanningfield Reservoir and RHS Hyde Hall, on Sunday 26th May 2013. We start the day at Hanningfield with a morning session consisting of a slideshow and discussion, looking at techniques, subjects and more. After a break for lunch we head over to Hyde Hall to put what we've discussed into practice in the gardens. Full details of the day, including how to book, can be found here.